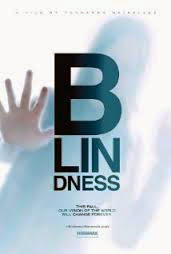 I recall seeing the preview for Blindness prior to seeing a film with Hawk and Bence that I will not to defend (The Happening) and I was intrigued. After all, Fernando Meirelles has directed some films that I enjoyed such as The Constant Gardener and City of God. If one takes the devastating reviews of Ebert, the percentages of Rotten Tomatoes and the rest of critics to heart than you might be steered away from a relatively solid two hours of film. Is Blindness a great film, not really, the question should be turn to the faithfulness of the adaptation to source material. If it cannot convey the allegory present in the text than it truly is a failure. Outside of some minor deviations from the source material, Blindness is quite similar to its literary counterpart. The problem that led to the adaptation failing to break even on its low budget was the message was missed completely. Protests from organizations representing the blind condemned the film as portraying the community as animals. I will be the first to groan (loudly) when people fail to understand allegory (in this case), metaphor or a plot device. These organizations latched onto a literal interpretation of the behaviors being shown on screen. The film was not an indictment of the actions of afflicted blind individuals as animals, it was one of humanity in general. Namely, if a person is in a dire enough situation and all measure of social structure and control, there will likely be chaos or to put it in the context of the film, they will behave in an animalistic nature. Such critical luminaries as Ebert referred to the film as 'unpleasant and unendurable' because of the content flashing across the screen. I tend to disagree with this sentiment since a vast majority of the review deals with complaints about aesthetics and the score (While completely missing the point of what he is seeing). True, Blindness will not be gracing the Criterion Collection anytime soon but it is a solid effort by Meirelles and co. that remains faithful to the source material.